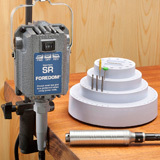 Foredom, Optima, and Flexcut carving tools and accessories at all great prices. A large percentage of woodturners incorporate carving and decorative techniques into their woodturnings as carving adds interest and value to their work. 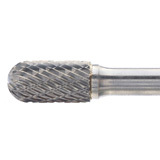 We offer a full range of carving tools and accessories so you can customize your turned wood bowls, platters, boxes and even small projects like pens, pepper mills and bottle stoppers in a way that makes them unique. When you purchase a Foredom carving unit, you’re covered by our exclusive 5 year warranty.